A mosquito-proof overflow is a great barrier for keeping your water source clean. 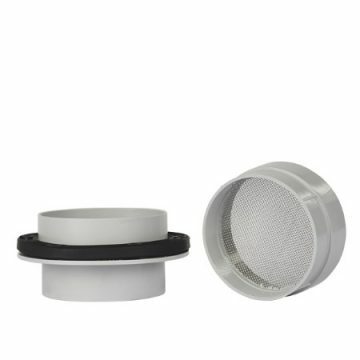 This 90mm tank overflow kit is compatible with our full rainwater tanks range, and its mosquito-proof 955 micron stainless-steel mesh ensures rainwater can flow through, but mosquitoes can’t! Need to replace your 90mm tank overflow kit? Request a quote below, including your location for delivery, and we will get back to you as soon as possible! 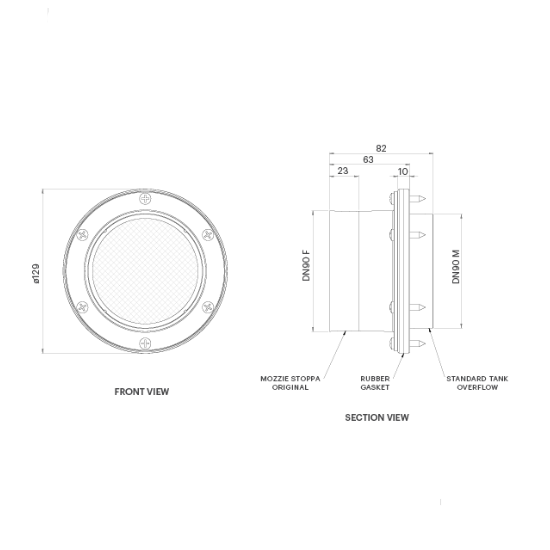 This 90mm Tank Overflow Kit is compatible with our full rainwater tanks range, including slimline water tanks, modular slimline water tanks, underdeck water tanks and round water tanks. Be the first to review “90mm Tank Overflow Kit” Click here to cancel reply.